David Kiefer, MD, is the medical director for the integrative health clinic. 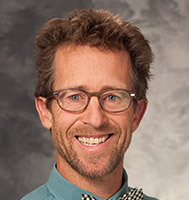 He earned his medical degree from the University of Wisconsin School of Medicine and Public Health and completed his integrative medicine fellowship at University of Arizona Affiliated Hospitals in Tucson, AZ. Dr. Kiefer's special interests include integrative health and mind-body approaches to health and healing.